Have you ever seen a more attractive set of feminized seeds? Spliff Seeds have burst onto the scene with a gaggle of the most curvaceous ladies ever seen. Their feminized seeds compliment their standard seeds perfectly in every way, and have quite understandably been helping make the Spliff Seeds name, quickly synonymous with quality. When you get your feminized seeds like their stunning Afghani Gold, you will have 100% guaranteed feminized seeds that come with a solid Rhino Seeds seal of approval in every category. You will also be gaining seeds from Spliff Seeds coveted ‘Gold Collection’ which is a true mark of how selective they are. Spliff Seeds is an exciting addition to the Rhino Seeds community and when you get your first batch of Spliff Seeds you will see what all the fuss is about. 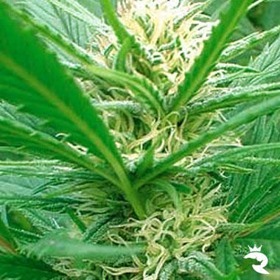 There more information about other cannabis seeds they offer on spliff.nl. Get Your Feminized Spliff Seeds Now! Feminized seeds are a great example of how cannabis seeds research is ever marching forwards. These seeds are all of the highest quality and will make a great addition to anyone’s collection. Every one of these perfect seeds have been checked and verified by experts to give you peace of mind! Add these Feminized Beauties to your own collection Now!